Home / T.V.R. 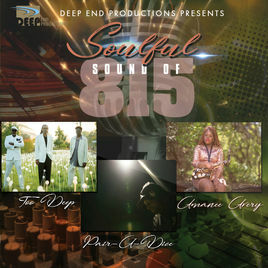 Recording Studios News / SOULFUL SOUND OF 815 now available!! SOULFUL SOUND OF 815 now available!! TOO DEEP, AMANEE AVERY, AND “PAIR-A-DICE” have released a 5 song EP put out by Deep End Productions titled “Soulful Sound of 815”!! Recorded and Engineered by Jason Zarnowski! This EP contains some of each artists best work to date! Definitely get yourself a copy now available at https://store.cdbaby.com/cd/deependproductions and online stores everywhere! !